Exaltation Press, a new Orthodox publishing company has just been launched to help make more Orthodox books available in the English language. While we in the English-speaking world have been blessed with many good Orthodox authors and publishing companies, Orthodoxy in the English-speaking world is still a very small fish in a big pond. The first series, “Scripture and Feasts for Children,” by Orthodox author Elena Trostnikova with beautiful iconographic illustrations by Olga Podivilova, is a three-book series designed to help introduce children to the Gospels and the life of Christ. Another book was just published called Sacred History from Adam to Me that helps give children an overview of Biblical history, as well as a light overview of Church history up to the Soviet persecutions and the present day. 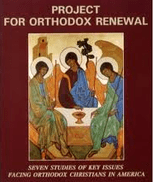 In the next few months, Exaltation Press hopes to publish a children’s catechism, a commentary on the Divine Liturgy for laity, a prayer book for children, and a series of books for young children explaining things like God, the layout of the Orthodox temple, the clergy, confession, prayer, fasting, and the Great Feasts. 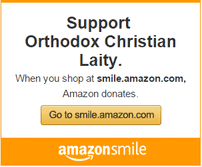 The priest who started this publishing company hopes to collaborate with other translators to try to make as many good and spiritual profitable books as possible available to help spread the Orthodox faith among English speakers. Next Article Will You Help Project Mexico on Pascha?